Apparently, when I think superhero I think spandex. So when I settled on making two superhero capes for my son and nephew for Christmas, I headed out to the fabric store and ventured down an aisle I had always avoided. There has always been something about the shine and the stretch of spandex that intimidates me. Not only did I think it was a great idea to use a completely new fabric, I somehow decided that appliquéing a design on the back of the cape would be an even better idea. So naive/overconfident me left the fabric store with not one, but two brightly colored spandex fabrics. There must be something in the air at JoAnns that says 'you can totally do this' because it wasn't until I got home that I realized I had no idea where to start. And now, I am going to publicly confess that my first attempt was basically a disaster. I tried to sew the fabric just as I would a regular cotton and hoped that the results would be acceptable for 2 year olds. I was horribly wrong. The results were a skewed and wrinkled mess. Ugh. So embarrassing. 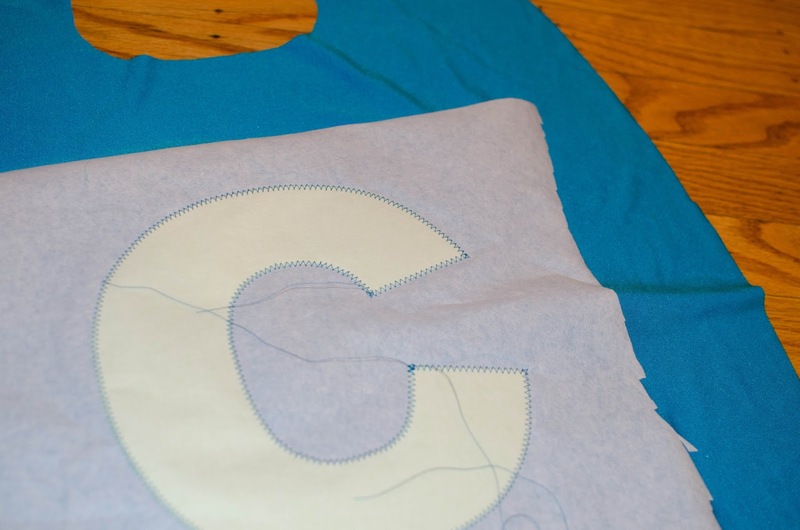 I swallowed my pride and found this awesome tutorial online for stretch appliqués. This lady saved my project! Armed with new understanding and some stabilizer, I started again. It turns out the whole thing was surprisingly simple. 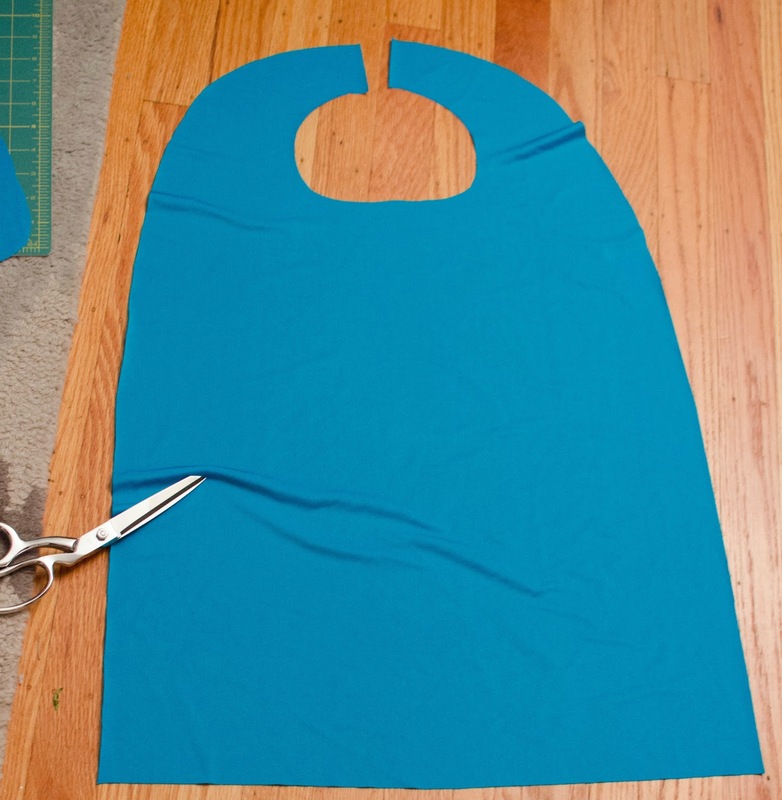 Mark and cut the cape using the dimensions in the free pattern. Cut the top of the neck hole open as in this photo. Create a letter template. I used my Silhouette Cameo to cut an 8" x 8" letter in cardstock. Cut an 8" x 8" square of the appliqué fabric and two squares of the stabilizer of the same size. Cut a third square of the stabilizer approximately 1" larger all around than the previous squares. Iron an 8" x 8" square of the stabilizer to the front of the appliqué fabric and stencil the letter onto the stabilizer with a pencil. Cut out the letter. Iron the larger stabilizer piece to the back of the cape fabric where the letter will be placed. 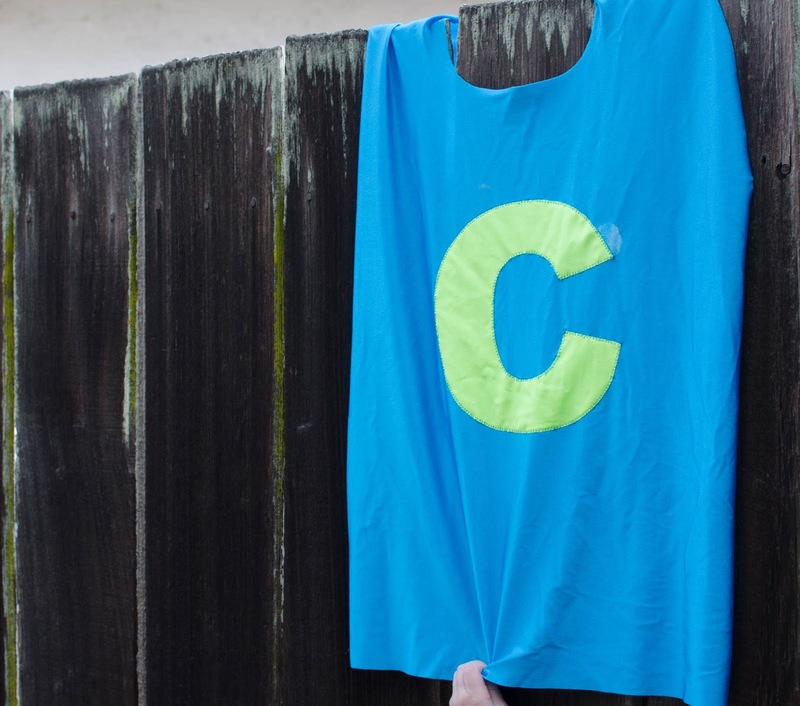 Turn the cape over and position the letter onto the front. 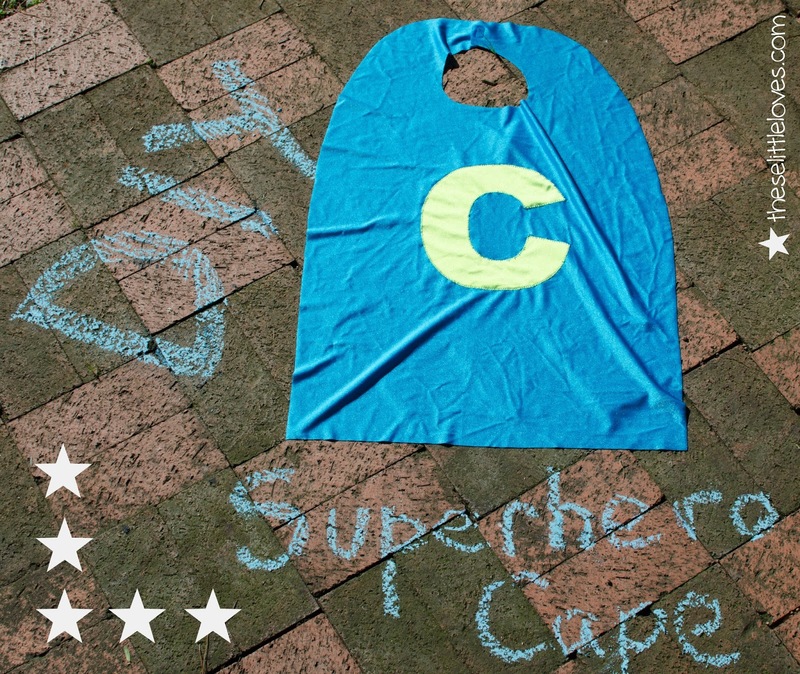 Take the final 8" x 8" piece of stabilizer and iron it onto the letter, sandwiching the letter between the cape and the stabilizer. This will hold the letter in place for sewing without pins and will keep it from skewing and stretching. Sew around the edge of the letter and tear away the stabilizer. 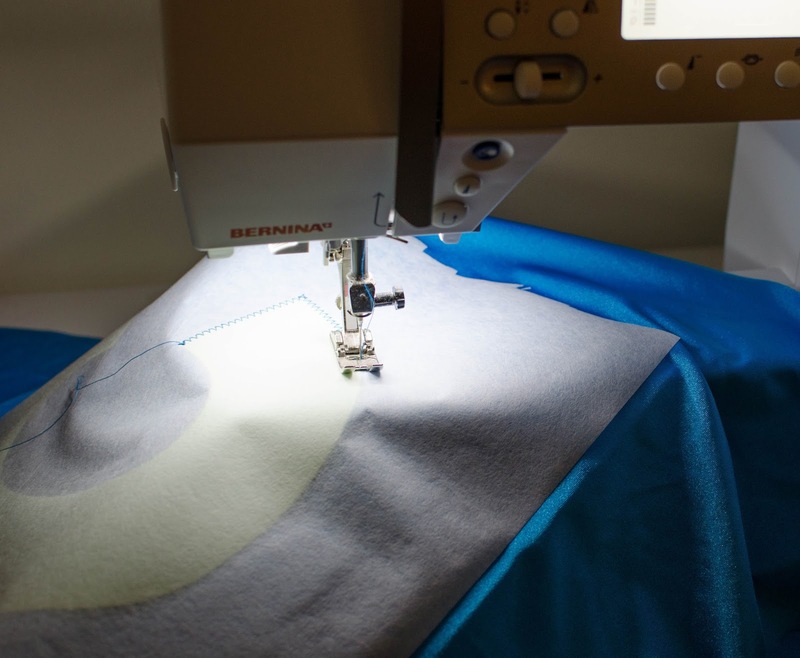 The stretch appliqué tutorial used a straight stretch stitch. In hindsight I would probably do the same. I instead used a zig zag stitch which I think looks great, but it was a beast to pull the stabilizer out of the stitches after sewing. Look at what an improvement over the first attempt! 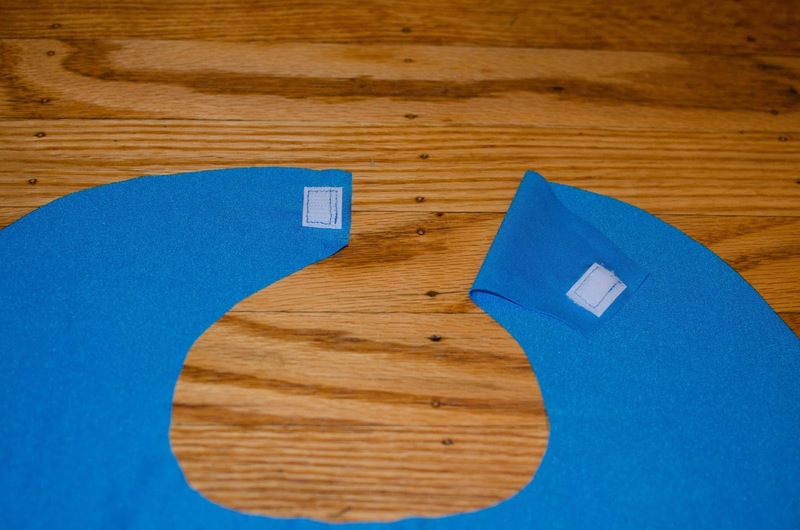 To finalize the cape, sew two small pieces of 'sew on' velcro to the neck. 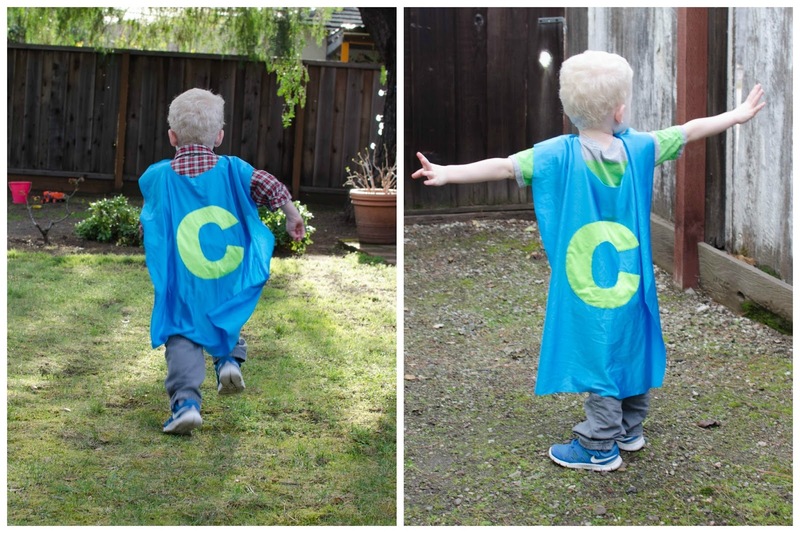 The capes were a hit :). My son couldn't even wait for me to take this photo before he tried grabbing it to 'fly'. Although he likes to fly, I am pretty sure his superpower is super speed. Hi! It's Jennifer. I like the safety Velcro breakaway feature. It helps prevent one of those Madonna moments. I guess it's probably easier to put on, too. Very cute! Thanks, Jennifer! Yes, the velcro was an important feature :).